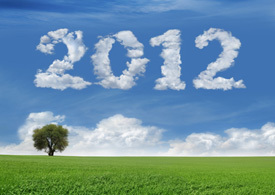 Looking forward into 2012, I see more reasons for optimism than pessimism. Many states and utilities are committed to ramping up their energy efficiency programs this year and even more are considering similar steps. For example, Massachusetts electric utility programs are targeting 2.4% savings this year as part of a ramp-up rate originally established a few years ago. Many other states also have ramp-ups planned, although not as aggressive as Massachusetts. In terms of potential new states, Kansas City Power and Light has just proposed a three-year plan to the Missouri Public Service Commission that would use efficiency programs to save 0.5% of sales in the first year and 0.9% in a few years. And the Maryland Public Service Commission has just directed the state’s utilities to identify additional efficiency programs to make up the gap between their current plans and state law, which requires utilities to achieve 10% savings by 2015. The private market continues to invest in energy efficiency, although efforts have been slowed by the economic downturn. New energy-efficient products continue to enter the market and energy efficiency is one of the hot areas for “Cleantech” investments. For example, new LED lighting products are being steadily introduced into the market and prices are starting to come down. The CleanTech Group reports that venture capital investments in the clean technology area rose 23% in the third quarter of 2011 relative to the same period in 2010, including 34 energy efficiency deals. The Home Performance with Energy STAR program continues to expand and now covers 32 states. In the commercial sector, more and more property owners and prospective tenants are looking for “green labels” such as LEED or ENERGY STAR certification. The industrial sector starts the year with a positive outlook following 29 months of sustained expansion, with prospects for investments and hiring poised to lead to modernization and growing competitiveness globally due to low energy and skilled labor costs. At the federal level, new vehicle and equipment efficiency standards will be issued in 2012. For example, fuel economy standards for passenger vehicles will be finalized; the draft standard, based on an agreement between auto manufacturers and the Obama Administration, calls for raising these standards to an average of nearly 50 mpg by 2025. Final decisions are due from DOE on standards for 13 products including residential clothes washers (likely based on an agreement between appliance manufacturers and efficiency groups) and distribution transformers. And recent EPA regulation updates on emissions of toxic pollutants, along with other pending regulatory updates for power plants, will encourage utilities to look at efficiency investments as an alternative to upgrading aging power plants. A major driver in 2012 will be the state of the economy. Our economy is finally growing again, although too slowly to make a significant dent in unemployment. Fortunately, investments in energy efficiency can contribute to job growth, as energy efficiency work is generally more labor intensive than investments in new energy supplies. The Brookings Institute estimates that there are about 2.7 million clean economy jobs in the U.S., including about half a million added over the 2003-2010 period. While there are many reasons for optimism in 2012, all is not rosy. Many states and utilities began energy efficiency programs in 2009, with funding from the American Recovery and Reinvestment Act of 2009 (ARRA or the economic stimulus bill). That funding will end in early 2012 and these programs are now scrambling to identify alternative funding sources. Policymaking in Washington is paralyzed, making new legislation unlikely, although there may be some opportunities for small steps. And while we have been making progress on energy efficiency adoption, the energy savings realized are still modest relative to the cost-effective opportunities. Here at ACEEE, we will be working to advance three themes in 2012. First, we will be assisting and encouraging states, utilities, and others who are interested in increasing their energy efficiency efforts. For example, we are now working in Missouri, Kentucky, and West Virginia and are about to start a project in Louisiana. We are also assisting utilities and regulators to evaluate alternative utility business models and to consider energy efficiency first as aging dirty power plants are retired. Second, we will be documenting what works (and what doesn’t) so that programs and policies can be as effective as possible. For example, we will publish a 45-state review on energy efficiency evaluation practices, have begun work on a comparison of energy efficiency accomplishments and policies across a dozen of the largest economies in the world, plan to identify best practice utility programs in a couple of dozen program areas, and continue to work on ways to expand the availability of energy efficiency financing. Finally, we will be laying groundwork for the future, including a forthcoming exploratory study on efficiency opportunities out to 2050 and identifying new program strategies to help reach energy savings goals as traditional energy efficiency measures, such as compact fluorescent lamps, become business as usual. In addition, we have five conferences planned—the first two are the National Symposium on Market Transformation in April and the Energy Efficiency Finance Forum in May. Stay tuned for more news from ACEEE as we continue to release reports and blog posts detailing our efforts throughout 2012. Keep your eyes out for e-mails announcing the release of cutting-edge research we are conducting or the latest updates on our conferences planned for 2012 and beyond.